The Mt. St. Joe wrestling team showed why it is, not just the state’s top-ranked team, but also a national force coming in at No. 22 in FloWrestling’s recent rankings, by rolling to the championship by an absurd 122.5 points, 289.5-167 over Milford of Delaware at Stephen Decatur High School on Saturday evening. Milford is the No.1 team in Delaware’s Division II rankings. The Gaels 10 finalists were easily the most of any team. The four champs they crowned were also a tournament high. Reaching the top of the podium were, Chris Barnabae (120, No. 1 in the latest Maryland Rankings), No. 3 Nathan Porter (126), No. 2 Zach Phillips (160), and No. 2 Justin Henry (182). Barnabae, who is ranked 15th in the nation by Flo, squared off with C. Milton Wright’s defending 4A/3A state champ, No. 3 James Riveira. The fireworks ensued as anticipated, but the bout came to a surprising end when Barnabae stuck Riveira with 30 seconds remaining in the second period, 3:30. Porter picked off a state runner-up and state champ on his journey through the bracket. In the quarters, the junior rolled past Damascus’ No. 11 Michael Emerick (2nd at 106 2A/1A last year), 7-1, then added a major-decision over No. 7 Blake Jury (St. Mary’s Ryken), 13-3, in the semis. Jury won a 4A/3A state title with Huntingtown a year ago. Porter got past Octorara’s Seth Hoopes, 1-0, in the finals. Phillips pocketed his title with a 1-0 win over Milford’s Gaij Copes, who is ranked fourth in Delaware. Henry had a 1-0 decision of his own in his title clash with Joe Murray (Lake Braddock, VA). Landing on the number two spot were, No. 6 Matthew Jun (138), Chris Roybal (145), Bradley David (152), No. 5 Jonathan Short (170), No. 17 Ethan Stern (195) and Parker Warner (220). Stern and Warner had coming out parties, with both pulling major upsets on their way to the finals. Stern had the biggest of all in his quarterfinal showdown with Sussex Central’s Michael Wright (No. 1 in DE), shocking those on hand with a 7-4 victory. In the semifinals, Stern followed that up with a 5-3 win over Good Counsel’s Drew Brenowitz (No. 8). Warner can be found in the “Others to watch” section of the latest 220lb rankings, but that will certainly be changing after Warner surprised No. 7 Hadyn Blanchard (Kent Island), 7-2, in the quarterfinals. Roybal, who is ranked 10th at 152, dropped to 145 and upset St. Mary’s Ryken’s Sam Smirnoff (No. 5 at 145) in the semis, 3-0. Smirnoff placed eighth at last year’s National Prep tournament while at Spalding. No. 4 Joe Couch was third at 106 for the Gaels and No. 9 Jacob Wright was fifth at 113. In the consolation rounds, Wright defeated No. 12 Staki Gourgoulianis (C. Milton Wright), 7-4. Despite being a No. 1 ranked team in Delaware, Milford was only able to crown one champion, Anthony Diaz (220, No. 2 in DE). Diaz worked overtime for his 3-2 edge over St. Joe’s Warner. No. 3 Glenelg sat in the middle of the pack in the standings after Day 1. The Gladiators rallied for a strong finish and came in third with 148.5 points. Three of Glenelg’s heavy hitters reached the finals and all three walked away as champions. No. 2 Jared Thomas dismantled the Gaels’ Jun, 15-0, in the 138lb title match. No. 3 Sam Alsheimer also managed an easy win over a St. Joe opponent with a first period fall of Stern, 1:46, at 195. No. 8 Drew Sotka (170) had to work a lot harder for his crown, going overtime with his St. Joe foe (Short) to earn a 3-1 win. Sotka also went to overtime in his semi-final bout with No. 9 Avery Miller (Good Counsel). The senior secured a fall 19 seconds into the extended time. No. 5 Jacob Jones (160) was fourth, Massimo Conti (220, No. 9) was fifth, and No.9 Kevin Hansberger placed sixth at 126. 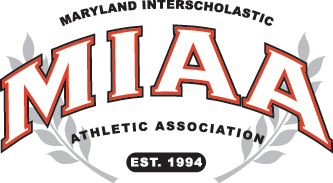 The hosts came in ranked 13th in Maryland and placed fourth ahead of No. 5 Damascus’ fifth (131-130). Neither squad had any finalists, but both had eight placers. The Seahawks four third place finishers to the Swarmin’ Hornets one proved to be the difference. For Decatur, No. 4 Jagger Clapsadle’s third place finish at 113lbs included his 100th career win. No. 13 Nico D’Amico upset No. 4 Evan Eldridge (St. Mary’s Ryken) in the 120lb consolation final, 6-5. No. 13 Noah Reho (126) surprised Jury, 7-1, in their third-place bout. Dakota Souder (No. 16) was third at heavyweight with a 3-2 win over Good Counsel’s Brandon Roberts. No. 22 Lukas Layton was sixth at 170 for the Seahawks. Shamar Baines (106), Kyle Elliott ((132), and Micah Moore (182) were seventh. Damascus’ lone bronze was won by 220lber Elijah Baisden (No. 4). Baisden pinned No. 9 Conti in the consolation semi-finals, 1:32. Placing fourth for the Swarmin’ Hornets were No. 6 Silas Patton (106) and Nick Biava (132). No. 12 Aiden Beall was fifth at 195. Isiah Bell was sixth at 152. Placing seventh were Brodie Douglas (138) and No. 21 Andrew Creedon (160). At 126, Emerick was eighth. No. 15 Dunbar came in at the 13th spot with 99 points. No. 3 Jalen Jones (132) and Dion Crews-Harris (285) were silver medalists. Crews-Harris was filling in for two-time state champion Jorden Pryor (No. 1) who is out with a foot injury. Crews-Harris will be sliding into the 220lb spot in the lineup when Pryor returns, but Crews-Harris showed he is going to be a forced to be reckoned with no matter where he wrestles. The junior took out C. Milton Wright’s Sawyer Sturla (No. 6) with a first period fall in the round of 16. No. 11 De’Airus Carr got in on the upsets too, pulling of his in the 145lb third-place bout, 8-1, over Ryken’s Smirnoff. Nyck Simpson is in the “Others to watch” part of the 170lb rankings. His fourth place showing will move him up the ranks since it includes a 9-6 win over Aaron Whear (Nansemond River, VA). Whear beat Decatur’s Layton, 4-1. C. Milton Wright (No. 17) was two-spots behind Dunbar with 76.5 points. Riveira was the Mustang’s only finalist. No. 21 Teddy Stinson placed fourth at 182. Along the way, Stinson beat Milford’s Bevensky Augustin (No. 3 in DE), 5-3. Bevensky pinned No. 7 Joey Bunce (Kent Island) two-times at the War. Jake Blanchard came in sixth for C. Milton Wright at 138. Gourgoulianis won his seventh-place match with No. 6 Connor Lozupone (Good Counsel) by fall in 52 seconds. Bethesda-Chevy Chase’s Eli Guttentag (No. 4) was Maryland’s only other champion. The senior beat Dunbar’s Jones, a 2A/1A state runner-up last year, 11-5, to win the 132lb title. Caesar Rodney is Delaware’s top-ranked team in the Division I rankings, yet they were only able to manage a sixth-place finish. Although, their three champions tied Glenelg for second most in the field. Jackson Dean (No. 1 in DE) won the 145lb class with a 6-0 win over the Gael’s Roybal. At 152, Gabriel Degraffinreed (No. 2 in DE) beat St. Joe’s David, 8-4. Delaware’s No. 1 heavyweight, Kevin Hudson, squeezed past the Poets’ Crews-Harris, 1-0. The 106lb champion was Braxton Lewis (Nansemond River) with a 9-2 decision over No. 18 Isaac Guttentag (Bethesda-Chevy Chase). Guttentag got by Damascus’ Patton in a semi-final thriller, 6-5 in overtime. Luis Vargas (Freedom, VA) used an 11-3 major-decision of Milford’s Jack Thode (No. 3 in DE) to earn his gold at 113lbs.